South Korea’s President Moon Jae-in is expected to fly to Pyongyang for the first time next week in the hopes of accelerating international efforts to denuclearize North Korea. “At this stage, I believe it is most important to put a complete end to military tensions between North and South, or possibility of military conflict, or war threat,” Moon told reporters Thursday. It will be the third summit this year between Moon and North Korean leader Kim Jong Un. The first two meetings — in April and May — took place at Panmunjom, which separates the two Koreas. Moon and South Korean delegation will fly directly to Pyongyang using the Western air route, Moon’s office said, adding that an advance team will take the land route to Pyongyang Sunday for preparations. Next week’s summit is set to take place from Tuesday to Thursday. Key parts of the three-day trip will also be broadcast live. At the top of the agenda is defusing military tensions, Moon said during a meeting Thursday with his special advisers. Moon is also eager to mediate differences between Kim and U.S. President Donald Trump in order to bring the denuclearization process back on track. 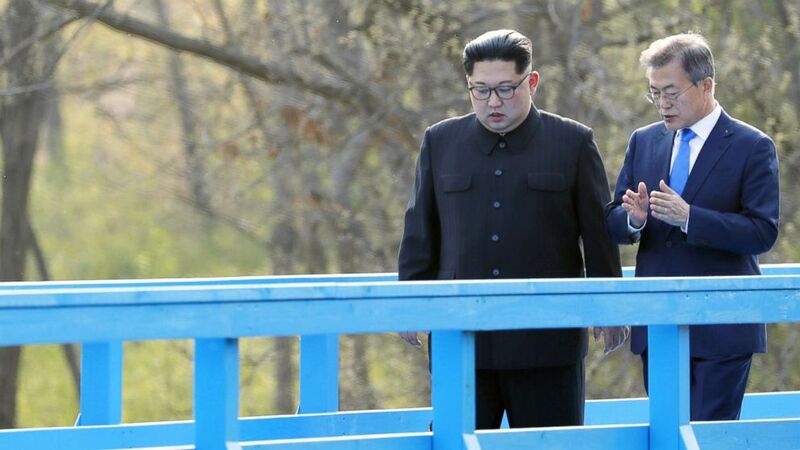 The third inter-Korean summit has been planned as denuclearization discussion between the United States and North Korea have faltered. “I believe finding an intersecting point to restart the dialogue and let denuclearization to take place promptly, is the role we [South Korea] must serve in the middle,” Moon said. Moon Chung-in, an adviser in the South Korean presidential office, also explained during a briefing with foreign journalists that the president will want his North Korean counterpart to seek “bold and imaginative approaches” that go beyond just freezing of the North’s nuclear program and involve a declaration, inspection and verification process. “President Moon will be placing the utmost impetus on denuclearization of the Korean Peninsula. Therefore, he will try to play role of a facilitator or a mediator between Pyongyang and Washington,” the top adviser told reporters. Next week’s summit will mark the fifth inter-Korean meeting. The late North Korean leader Kim Jong Il invited South Korean president Kim Dae-jung to Pyongyang in 2000 and Roh Moo-hyun in 2007.